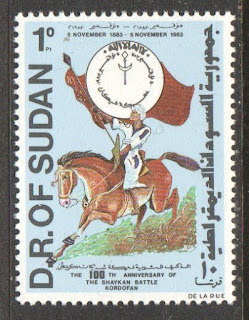 Commemorated by Sudan in 1984 the Battle of Saykan was fought between the forces of Egypt and Sudan and was part of the Mahdist War. Also referred to as the Battle of El Obeid it was fought on the plains near the town of El Obeid. The main commanders of the forces were "Billy" Hicks in charge of the Egyptian forces and Mohammed Ahmed, the Mahdi commanding the Sudanese forces. 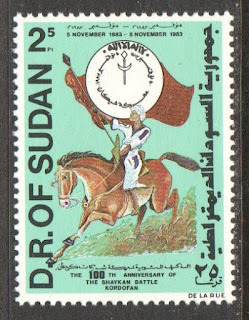 At the time it was estimated that the Sudanese forces numbered around 40,000 Sudanese warrior although this number was probably exaggerated. The Egyptian forces numbered around 11,100. The majority of this force were Egyptian soldiers that were recently released from prison and didn't have their hearts in the fight. The Egyptian government had heard that Ahmed and his forces were laying siege to the Egyptian town of El Obeid and decided that he must be captured. Despite warnings against this plan by Hicks, the operation got under way. 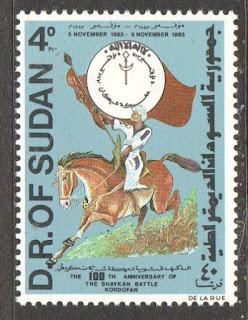 While in transit, El Obeid had fallen to the Madhist forces, but the Egptians continued on to relieve their governor in Darfur. According to Winston Churchill the Egyptian forces were "perhaps the worst army that has ever marched to war". Through mistake or on purpose the guides leading the Egyptian forces were led astray and soon found themselves surrounded. 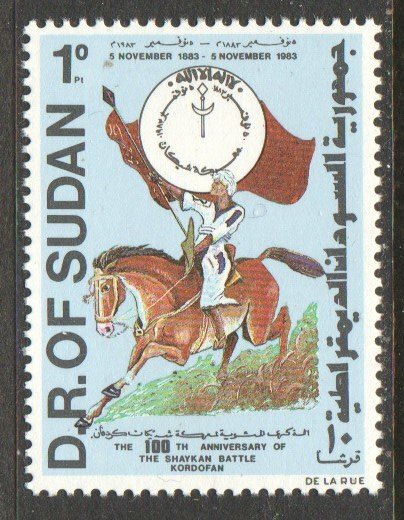 At this point the regulars started to desert and on November 3rd the Sudanese forces began the attack. The Egyptian forces formed a square and some reports state that they persevered for up to 2 days. 500 of the Egyptian troops surrendered and were later freed, all the officers who were mainly European were killed.